from his books in the Writers' Corner section, and to the On-Line Persian Bookstore. You will also have access to his new book of poems The Amber Shell of Self. 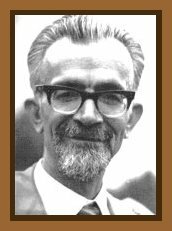 Mahmud Kianush, Iranian poet, writer, literary critic, and translator, was born in Meshed, Iran in 1934. He studied at the Teachers Training College and Tehran University and has a BA in English language and literature. He was editor-in-chief of the two leading Persian literary monthly magazines, Sokhan (Words), and Sadaf (Mother-of-Pearl). He also contributed, as writer and editor, to 5 bi-weekly magazines for children, teachers and parents, published by the Ministry of Education in Iran. After eight years of writing poetry for children, he explained the principles that he had discovered and invented in a book entitled Children's Poetry in Iran, published by Agha publications, Tehran, 1973. As a result of this work, he became known as the founder of children's poetry in Iran. He was a teacher for 5 years and then worked in the civil service until 1974, when he asked for early retirement. A year later he moved to England with his wife and children. For over 20 years he has been working in the Persian section of the BBC as a writer and producer. Among other things, he has written and broadcast more than 500 pieces of satirical poetry and prose. His anthology of Modern Persian Poetry was published by The Rockingham Press, and was funded by the Arts Council of England. His book Persian Poetry in Exile, Since the 1979 Revolution, A Critical Study (in Persian), was published by the Persian Poetry Society, London. His latest published works in Persian include, Suddenly Man and His Earth, (a long poem), In a Slippery Bowl, (a collection of Short Stories), Horizons of Self, (a philosophical novel), and Woman and Love, in the World of Sadeq Hedayat, (a critical analysis). Both the Persian and English versions of his book of poems entitled Of Birds and Men have been published. The full title of the English version is "Of Birds and Men, Poems from a Persian Divan". It was published in May 2004, by The Rockingham Press, and was funded by the Arts Council of England. On 15th November 2007, a new book of poems by Mahmud Kianush entitled: "Through the Window of Taj Mahal", was also published by The Rockingham Press. "...In 1972, the year during which I wrote these poems, censorship was focusing more on the hints the words might bear against the regime than their real significances in whatever was written for publication. If, for instance, you had used the word "forest" in a poem as an image, it could lead the minds, or rather the memories, of the censors to an underground militant group whose place of activities was "Siyahkal Forest" in a northern province of Iran..."
"...This foolish way of seeing things by the regime authorities could tempt you to play a mischief on them as they felt free to play all kinds of devilish abuse on the spirit of your freedom. Therefore, it was easy for me to use in a number of my poems a few images easily considered as the reminders of life and cultures in countries other than Iran,..."
"Among those few poems there was one to which I gave the title of "Through the Window of Taj Mahal", though I actually meant "Through the Window of Persepolis", a place that symbolised the rule of King of Kings, not of the Maharajas. But, strangely enough, the word "taj" in Persian means "crown" and "mahal" means "place". Therefore, "Taj Mahal" can be understood as the palace of a king..."
Both books, "Of Birds and Men, Poems from a Persian Divan" and "Through The Window Of Taj Mahal", can be purchased directly from the publisher, The Rockingham Press. Among Mahmud Kianush's works ready for publication, is a book of poems in English called "The Fifth and the Last Nail". Some of his books are available for sale from the Art Arena on-line Bookstore. "... Though the work of some individual poets has been translated into English in recent years and published mainly in the USA, Kianush's volume is a much awaited book which fills a gap; it is the more comprehensive of the two anthologies which exist in English. An accomplished poet himself, Kianush's translations are well balanced and eloquent...One very refreshing aspect of this anthology is the presence of a good number of Women poets... Kianush has successfully carried over into English some of the music and lyricism of his originals and his informative introduction traces the development of contemporary Persian poetry from its inception to the present day..."
Suddenly Man and His Earth [Nagahan Ensan va Zaminash, 2002]. Where Is That Voice? [Koja'st An Seda?, a long poem, 1992].